To make your own anti-aging face mask specially for sensitive skin, you need to take 1 tablespoon of mashed avocado and 1 tablespoon of olive oil. Mix them well and then apply on your clean face and neck. Now let it stay for 10-15 minutes to absorb the ingredients into the skin. Finally rinse off with lukewarm water and splash with cold water to close skin pores. To make an other anti-aging face mask for sensitive skin you need to take 1/2 banana,1 egg, 1/4 cup oatmeal (cooked with milk) and 1/2 tablespoon honey. Mix them well then apply of your face and neck. Massage in circular movements on your face and use upward strokes on neck area. Let it stay for 15-20 minutes then remove the mask with soft and damp cotton cloth then wash with lukewarm water. 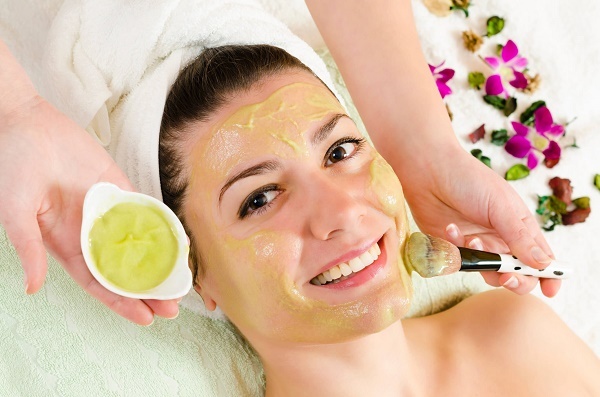 You can simply prepare an anti-aging face mask for sensitive skin simply by taking 1 egg and 1 teaspoon of honey. Mix them well then apply on your face and neck. Leave the mask for 15-20 then remove with damp cotton cloth and then rinse off with lukewarm water. Finally splash with cold water to close and tighten skin pores. An anti-aging face mask made from egg yolk, milk and honey is also considered very effective to prevent the natural process of skin aging. To prepare this mask at home you are required 1 egg yolk, 2 tablespoons of milk and 1 teaspoon of honey. Mix them well and then apply on your clean face and neck. After 15-20 minutes remove with damp and soft cotton cloth and then wash with lukewarm water. Finally splash with cold water to close skin pores. Finally an other simple but very effective anti-aging face mask for sensitive can be prepared at home simply by mixing some quantities of milk, Vitamin E and Honey. Take two tablespoons of milk and add a few drops of vitamin E oil and half teaspoon of honey. Mix them well and then apply this mixture on your face and neck. Then wash off after 15 minutes. (i) First of all before applying any facial mask, clean your face and neck with fresh water and remove all cosmetics, creams, lotions even everything. For this purpose use a non abrasive and good quality beauty soap. After washing your face, pat your skin dry. (ii) Before applying any facial mask, it is better to take a small Patch Test on little area of your skin and wait for 10-15 minutes if it creates itching or allergic effect then immediately remove it from skin and avoid this mask. (iii) When you have applied the face mask then make sure you take your time to lie down, place a towel under your head and neck. Put 2 cucumber slices on your eyes or use 2 cotton pads soaked in rose or lavender water. (iv) It is best to use a homemade facial mask immediately after you prepare it and don't let it stay on your face any longer than instructed. After recommended time period immediately remove it from your face. (v) Finally wash your face and pat dry your skin with a soft and clean cloth or towel.